Nannies 4 Grannies Ltd (N4G) understands that your privacy is important to you and that you care about how your Personal Data is used and shared online. We respect and value the privacy of everyone who visits www.nannies4grannies.co.uk (“Our Site”) and will only collect and use Personal Data in ways that are described here, and in a manner that is consistent with our obligations and your rights under the law. Our Data Protection Officer is Kay Naden, and can be contacted by email at kay@nannies4grannies.co.uk, or by post at our registered address. Supplying you with emails that you have opted into (you may unsubscribe or opt-out at any time by clicking the ‘unsubscribe’ link at the bottom of any bulk email). Tracking and responding to any support requests you may make as a N4G customer. With your permission and/or where permitted by law, we may also use your data for marketing purposes which may include contacting you by email, telephone or post with information, news and offers on our products or services. We will not, however, send you any unsolicited marketing or spam and will take all reasonable steps to ensure that we fully protect your rights and comply with our obligations under the GDPR and the Privacy and Electronic Communications (EC Directive) Regulations 2003. You may opt out of this form of communication at any time. You have the right to withdraw your consent to Us using your Personal Data at any time, and to request that we delete it. Please note, however, that this may result in us being forced to withdraw our products or services from you. Anonymous Personal Data shared with us for the purposes of website analytics will be retained for 26 months. Personal Data submitted to us via the Contact Us form on our website will be retained for 26 months. All our data is stored in the UK. We will never share your data with a 3rd party. In addition to your rights under the GDPR, set out above, we aim to give you strong controls on our use of your data for direct marketing purposes (including the ability to opt-out of receiving emails from us which you may do by unsubscribing using the links provided in our emails). You may also wish to sign up to one or more of the preference services operating in the UK: The Telephone Preference Service (“the TPS”), the Corporate Telephone Preference Service (“the CTPS”), and the Mailing Preference Service (“the MPS”). These may help to prevent you receiving unsolicited marketing. Please note, however, that these services will not prevent you from receiving marketing communications that you have consented to receiving, nor communications that are deemed by Us to be essential to your continued informed and safe usage of our products or services. You have the right to ask for a copy of any of your Personal Data held by Us (where such data is held). Under the GDPR, no fee is payable, and we will provide any and all information in response to your request free of charge. 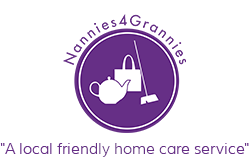 Please contact us for more details at kay@nannies4grannies.co.uk.